When I think of summer, I think of all the fun outdoor activities we love to participate in. One of my favorite activities growing up was volleyball, whether it was at a park, in the lake or on the beach. Since we aren’t really close to water and my kids aren’t quite big enough for regular volleyball, I decided to make this super fun Tabletop Beach Volleyball Summer Snack for the kids to enjoy. We are excited to partner again with Frigo® Cheese Heads® to share this incredibly fun tabletop volleyball activity and snack. We love our Frigo® Cheese Heads® snacks, including the Frigo® Cheese Heads® Snacking Combos varieties–one of our favorite go-to, easy snacks. They come with both a cheese stick and a meat stick. We decided to purchase two varieties, because the boys love alternating types of cheese and meat sticks. One pack has Sharp Cheddar and Beef Sticks; the other pack has Colby Jack and Turkey Sticks. For our activity, I wanted to find a way to use both products together, since my boys usually eat them together. This Tabletop Beach Volleyball Activity is fun to play and is a delicious summer snack. You can make and eat this at home, when you’re camping, at the park, or anywhere else you’ll have a table to use. Not only will this Beach Volleyball Snack keep your kids satisfied at snack time, but it will also provide some fun beforehand. It is simple enough to assemble, after initial prep, that the kids should be able to set it up on their own, which means you can get a little break while they stay entertained during summer vacation (or you can join in on the fun!). 1) First, you will want to color the ping pong ball using the permanent markers, so it has some time to completely dry. I used a yellow ball that I found in the party favors section of a party store, but white ones work, as well (if not better). Give your ball yellow, blue and red stripes. If you use a white ball, you can keep white stripes, as well, so it looks more like a beach volleyball. I do recommend going with a ping pong ball or smaller inflatable beach ball because the larger one we had was a little more challenging to use. If you are going with an inflatable ball, just leave it folded and deflated so it fits in the lunchbox. Then, you or your child can inflate it when you’re ready to play. 2) Next, you will want to cut the pool noodle. A bread knife worked great for us; it gave us a smooth, straight line and cut through very easily without making a mess. Cut the end of the noodle into a ring about 1-inch thick. You will need two of these. Make sure they are flat so the Snacking Combos stand up well. 3) Place the Snacking Combos into the center hole of the pool noodle. They should fit snugly. Since the meat stick and cheese stick are different sizes, you will need to place the meat stick right-side up with the opening at the top and the cheese stick upside down with the opening in the hole. *Keep them in their packages! 4) Set the Snacking Combos that are inside the pool noodle rings next to the non-slip mat or whatever you are using as your net to measure about how wide and tall you should cut the net. Ours ended up being about 3 inches tall and 9 inches wide. Use the sharp scissors to cut a straight line. The great thing about having a sort of mesh/crosshatch patterned net is that cutting a straight line is pretty easy. 5) Remove the Snacking Combos from the pool noodles when you are ready to glue the net to the packaging. Make sure you glue on the correct side of each (mark the proper sides with a small dot of permanent marker if needed). Place the net next to the cheese stick or meat stick package so you know how long of a glue line to make; line them up across from each other how they will be once the net is in place so you know which side of the snack packaging to glue on. Place them design-side down and glue along the edges. *Note: If you wish, you can also glue on the side of the packaging with the design, but I did not want to use extra glue, so the packaging edges worked great. It also did not affect the cheese at all since it was next to it and not directly touching it. You can also try using double-sided tape, but it may not hold as well. Carefully place the net onto the hot glue and press down flat. Take care not to burn yourself. You may want to use part of a pencil or something to press down so you don’t have to use your fingers. I just touched carefully on the places that had part of the net over the glue, let it cool for a moment and then pressed down firmer once the glue was warm but not fully cooled. Your supplies are ready! If you want your children to take them along on a trip or assemble them on their own, place all the supplies in a lunchbox or basket to hand to your children. The basket can also double as a place to bounce the ball into. This makes for a fun challenge and helps catch the ball so it doesn’t bounce away too far. It also allows this to be a one-player activity. If your children want to play the tabletop beach volleyball game together, they can sit across from each other at the table and bounce the ball back and forth, using their hands just as you would a beach ball. If you want it to be a true competition, use some masking tape to mark the corners the ball needs to stay in. If your children struggle to use their hands, you can also grab ping pong paddles and use those to volley the ball. Who can get the most points? Here’s another fun String Cheese family activity to try this summer! When you are finished playing, enjoy the delicious Frigo® Cheese Heads® Snacking Combos as a well-earned prize for a great game. One great thing about cheese sticks and beef sticks is that they are resilient and are perfectly fine sitting at room temperature for a bit; that’s what makes them such a great travel, park and camping snack. S absolutely loved snacking on his Snacking Combos when he was finished playing. These supplies can be used multiple times, so you can enjoy this Tabletop Beach Volleyball Snack and Summer Activity for Kids throughout summer vacation, indoors or outdoors. It only takes a few minutes to set up and is a great way to keep your children entertained. Parents, you get involved too! We had just as much fun playing with the kids as they did playing by themselves. Where will you take your Frigo® Cheese Heads® Snacking Combos Tabletop Volleyball Game? Who will you enjoy playing with? Check out all of our String Cheese snacks and activities for all year long! 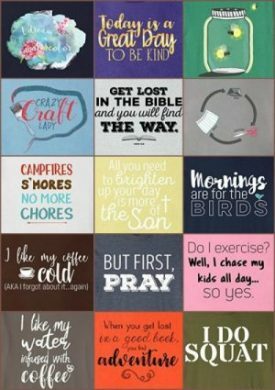 activity, craft, DIY, family, fun, kids, snacks, sports, string cheese, summer, volleyball. Bookmark.